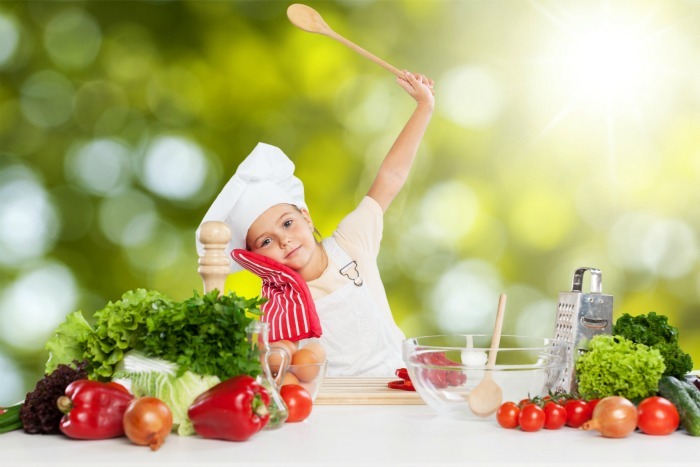 6 Easy Recipes With Vegetables For Kids – A Happy Mommy Hack! Parenting 6 Easy Recipes With Vegetables For Kids – A Happy Mommy Hack! Being moms we face similar situations while feeding our kids with veggies. There are times when children eat a few vegetables fondly and at other instances you’ll notice the food spilled all over. It’s not fair to feed kids with the same vegetable they like. Introducing different foods and flavors in their diet is essential. Vegetables are quite healthy, easy and quick to prepare. Today we bring some easy and healthy kids-friendly recipes with a twist in flavor and presentation that kids will adore. You can serve them as a healthy snack or side dish with meals. Kids might not like if you give them a boring broccoli salad tossed with tofu and spinach. Try mixing broccoli with their favorite fruits. This will give the dish an appetizing look as well as taste. Method: Steam 2 cups of broccoli florets in a pan. Toss the florets with few orange slices, 2 tbsp orange juice, 1 tbsp olive oil, 1 finely chopped garlic clove, pepper and salt. Garnish with grated almonds and serve. Carrots are abundant in Vitamin A good for eyes. Kids might not like to slurp down carrot juice but they would love to munch on these crunchy fries. Method: Cut carrots in 1/2″ wide sticks and mix them with a little cornflour seasoned with pepper, thyme and salt. Now toss them lightly into olive oil. Place on a baking tray and bake for 15-20 min in a preheated oven at 400 degrees F. Your crunchy carrot bites are ready! Mix up a few vegetables with something that your kids love to eat. Did you try a veggie cake yet?? Definitely it’s a win-win situation!! Method: Make idli batter or you can simply soak semolina or rawa in little curd and water for instant preparation. Stir some finely chopped vegetables like carrots, beans, beetroot, and coriander into the batter. Grease some fancy muffin molds with oil. Fill them with the batter and steam until done. Unmold and serve hot with the dip or chutney of your choice. Note: If you don’t have muffin mold, simple idli molds can be used. It’s time to serve some exotic greens to your children. Plate it up in a smart way to lure your picky eaters asking for more. Method: Using a pair of scissors or cookie cutter, cut wheat bread slices into small butterfly shaped croutons. Toast them in little oil till crisp. 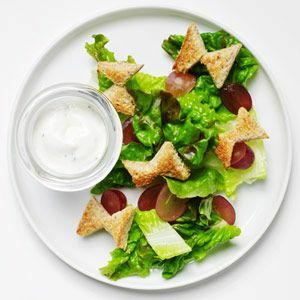 Take some torn lettuce, handful of seedless grapes, and butterfly croutons in a serving plate. Offer ketchup or their favorite dressing along with the greens. Note: You may add fruits and greens of your choice too. 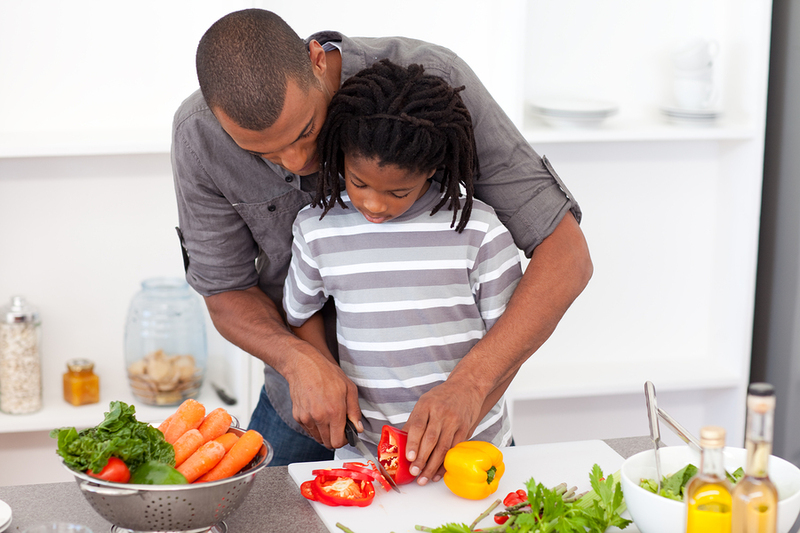 Trying something different and delicious with vegetables can give you an upper hand while feeding kids – young and old. Method: Wash and cut cauliflower florets. Toss a cup of florets with olive oil and season with little salt and pepper. If your child likes it spicy add some chilly flakes. Roast it in an oven at 450 degrees F for about 20 min or till they are brown. Sprinkle some grated Parmesan cheese over and serve. Finger foods are a delight to kids. Be it parties or tea time at home; your kids will get past the green color if you serve them these crispy spinach balls. Method: Combine chopped spinach, breadcrumbs, grated Parmesan cheese, little butter, curd, spring onions, pepper, and paprika in a bowl and mix well. Form small balls and press tightly. Deep fry till golden brown. Note: Bake instead of frying for healthy option. These quick tips and mommy hacks will get your picky kid eating more vegetables without fussing. Hopefully some of these recipes spark your interest too!! Read on for more tips to deal with you picky eaters here. Do let us know which one does your kiddo love? Comment below!